Jack Ma: Being the richest man in China is a "great pain"
It's not easy being a billionaire. When it comes to being wealthy, Jack Ma sides with the Notorious B.I.G. : more money does cause more problems. 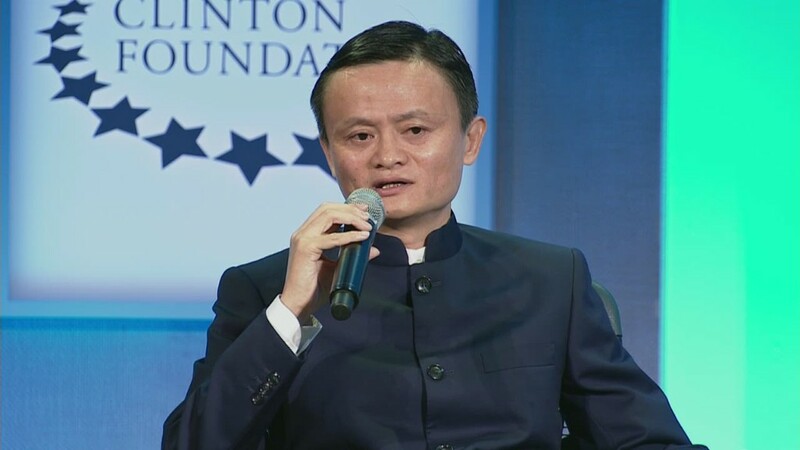 Ma, the founder of Alibaba (BABA) and the richest man in China, called his celebrity and wealth status a "great pain" in an interview with CNBC on Tuesday, and said he didn't start the e-commerce behemoth to become rich. While he said being rich is good, his level of wealth can be problematic. "It's a great pain because when you're [the] richest person in the world, everybody is surrounding you for money." He wants people to look beyond his bank account. "People look at you differently. I want them to see this is an entrepreneur, this is a guy who is having fun with himself and I want to be myself." He added that he doesn't watch the company's stock price. The company debuted on Wall Street with a record-setting $25 billion IPO earlier this year. Following the IPO, Ma was worth an estimated $25.4 billion, according to research firm Wealth-X. When it comes to his fortune, Ma is looking to spend it in a "business way." "When you have that much money, it's the trust people are giving you on how to spend the money more efficiently than the government and other guys. This is a big challenge." CNBC reported that Ma said high levels of pressure have left him not very happy this month. "I try to make myself happy ... because I know that if I'm not happy, my colleagues are not happy, and my shareholders are not happy, and my customers are not happy." Maybe there is something to the old adage that money can't buy happiness.